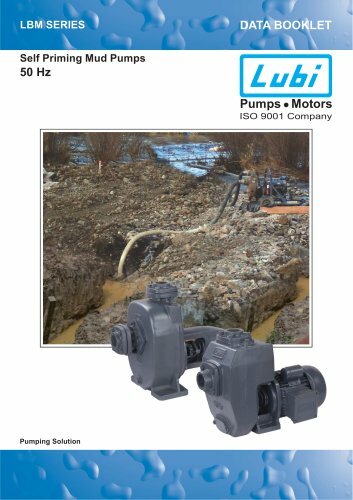 Catalogs > LUBI INDUSTRIES LLP > Self - Priming Mud Pumps (1.0 to 5.0 HP). Performance curves/Technical data Dimensional sketches Dimensions & weights Note: All dimensions in mm unless otherwise noted. Lubi Electricals Limited. Near Kalyan Mills, Naroda Road, Ahmedabad-380 025, INDIA. Sales Enquiries: mktsales@lubipumps.com, expsasles@lubipumps.com Product Improvement is a continuous process at 'LUBI'. The data given in this publication is therefore subject to revision.